Ron and Tiney Curtis have a tradition. Whenever a family member, neighbor, or friend falls upon hard times, they slip that person an envelope. On the outside of the envelope are written the words: “Just for Today.” Inside the envelope: a check or a little bit of cash to help the person get back on his feet. 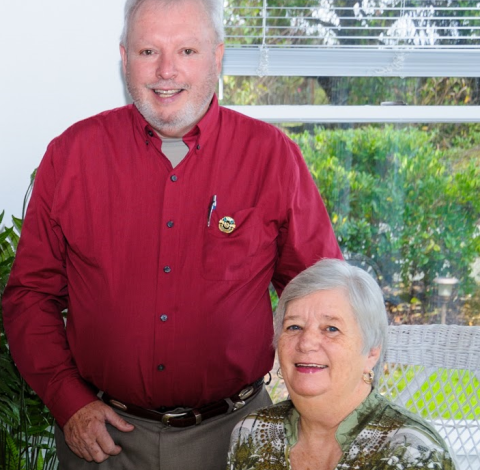 It’s Ron and Tiney’s tradition of paying it forward, of helping people in their community in moments of need. And now the “Just for Today” tradition has grown into something that will help even more people — today and tomorrow. On December 31, Ron and Tiney Curtis established the Just for Today and Tomorrow Endowment Fund in memory of their mothers, Dorman N. Doutt and Florence B. Satterwhite, with the Outer Banks Community Foundation. Ron and Tiney, who have lived on the Outer Banks for almost 30 years, have continued the tradition of caring that their mothers instilled in them. 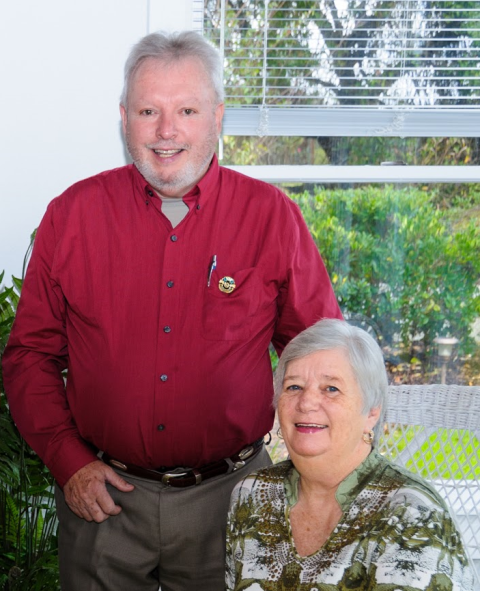 As longtime First Flight Lions Club members, the Curtises volunteer when the NC Lions’ Vision Van comes to Dare County each year to provide free vision, hearing, and diabetes screenings to many local families. Additionally, they volunteer in the local Lions PediaVision program, which has provided vision screenings for more than 1,000 students in Dare County each of the last two years. The Curtises also help plan and raise funds for the NC Lions’ Visually Impaired Persons (VIP) Fishing Tournament every fall on the Outer Banks, which provides a three-day fishing and life-enriching experience for over 500 visually impaired persons and their caregivers. Giving seems to run in the family. Their son, Chris, has participated in both the Locks of Love and Saint Baldrick Foundation, benefiting children during their treatment and recovery from cancer. Additionally, Chris is approaching 10 gallons in blood donations with Virginia Blood Services. The Just for Today and Tomorrow Endowment Fund, in Memory of Dorman Doutt and Florence Satterwhite, will continue their family tradition. Though held and managed in perpetuity by the Community Foundation, it is a donor-advised fund, which means that Ron and Tiney — and eventually their son, Chris — will select and determine the fund’s grants each year. Who knows how many lives the Curtises have touched through their “Just for Today” envelopes, and their volunteerism with their Lions Club? Who knows how many lives they will touch with their new fund? This local family has created a permanent charitable resource for our community, for today and tomorrow!